All of my life I have lived on the Left Side. From Vancouver to Seattle to San Francisco (where I started writing for Metblogs), the Left Coast has always been my home base. When I moved to Los Angeles I made no exception and chose to make the Left Side my home. I live right on the beach in Venice, the closest I have ever lived to the ocean, but I have never resided further than a mile away from it as I start to feel claustrophobic. My interests focus mainly around anything worthy of my energy to walk or bike to, animals great and small, music (I work full time as an Account Manager at Topspin), and soon kids as I am expecting my first bambino in February. I want to make it clear that I’m not a west side snob and do in fact make it over to other parts of town especially to Arc Light, but I’m pretty sure the other writers have that side well covered. Please hold, my first bright and colorful post is coming soon! Welcome to town, to the West Side, and to Los Angeles Metblogs. I’m glad you’re not a West Side snob, since some of us (no names mattmason) like it so much that we — I mean they — don’t venture out of it as much as we — they — should. 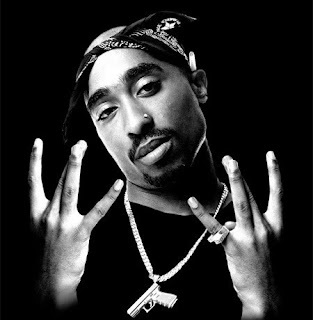 West Side!! Well actually I do like the weather better than the weather here in Glendale. However today when I was on the Westside I don’t miss the traffic. Anyway most number cruncher (accountant) usually get airconditioning no matter where they work, so living near or far from the ocean is not really a factor except for the commuting distance. I think that was my favorite introduction ever. hallo from a fellow westsider!!!!! Welcome to the metblogs sandbox, we actually have a lot of fun here! Wow. Great intro. I will hate on the westside no more. Not with you representing so hard! Awww, you kids are so welcoming. Thanks yo!